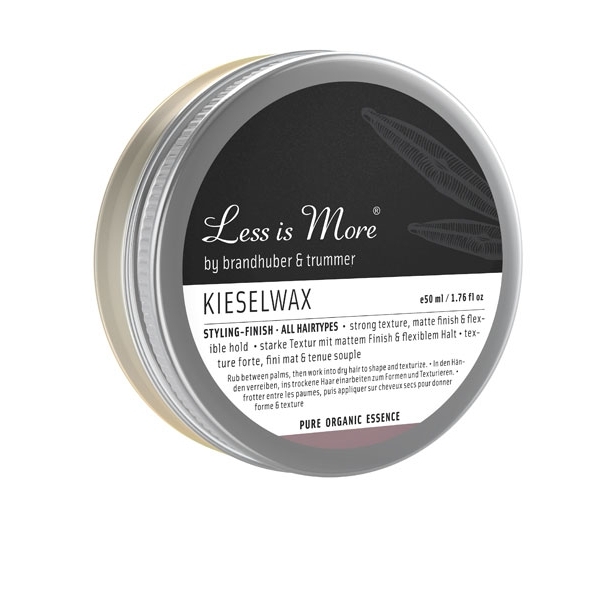 The Kiesel Wax is a mouldable paste with a medium hold and a matte finish. Great to add definition in short hair styles and the non-greasy texture makes it very suitable for fine hair. Organic certified by Austria Bio Garantie. Cruelty free. Pro tip: add a little to a clean mascara wand to groom brows. "Modern paste adding definition that looks effortless." Other products you might like..
We avoid mineral oil, petrochemicals, parabens, phtalates, synthetic fragrance, nano-particles, sulphates, silicones, formaldehyde, triclosan, aluminium, PEG's, SLES and other nasties. We curate products that are ethical and transparent about their ingredients, kind to the planet and not tested on animals. Many products suit vegans, allergy, sensitive or eczema prone skin. Shopping links include affiliated brands and web shops.